When Anchorage's Matt Hage thinks of the late Alaska climber Seth Holden, he harkens back to a 2007 expedition with Hage's wife Agnes up 10,335-foot Moose's Tooth near the Ruth Glacier and a crazy packraft trip out of the forbidding Aniakchak Caldera in the Alaska national monument of the same name, when "the wind was blowing so hard we couldn't stand up." Later this year, if all goes well, Hage will have a physical reminder of Holden, who perished in a 2010 plane crash on a sandbar along the Susitna River. The Mountaineering Club of Alaska is proposing to build a new hut for backcountry travelers just north of 6,907-foot Montana Peak in the Hatcher Pass area of the Talkeetna Mountains. The proposed 10-by-24-foot structure of wood with a sheet metal skin will be named the Seth Holden Hut and would add to the several small shelter huts in the area. Built and maintained by the Mountaineering Club of Alaska or the American Alpine Club, membership is required to use most of them. "The hut will be part of the popular backcountry hut system known as the Bomber Traverse," according to a preliminary decision on the MCA's proposal by the state Division of Mining, Land and Water. 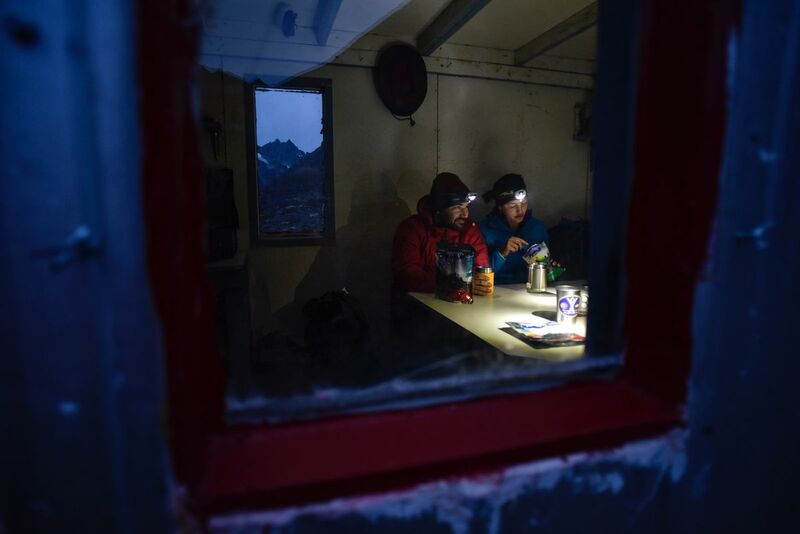 "Backcountry users will travel on foot or skis to or from the Mint Hut or the Bomber Hut. Usage of the hut will be highly variable. Some weeks will go by with no use at all. Other times, there may be up to 12 people in the hut at one time." 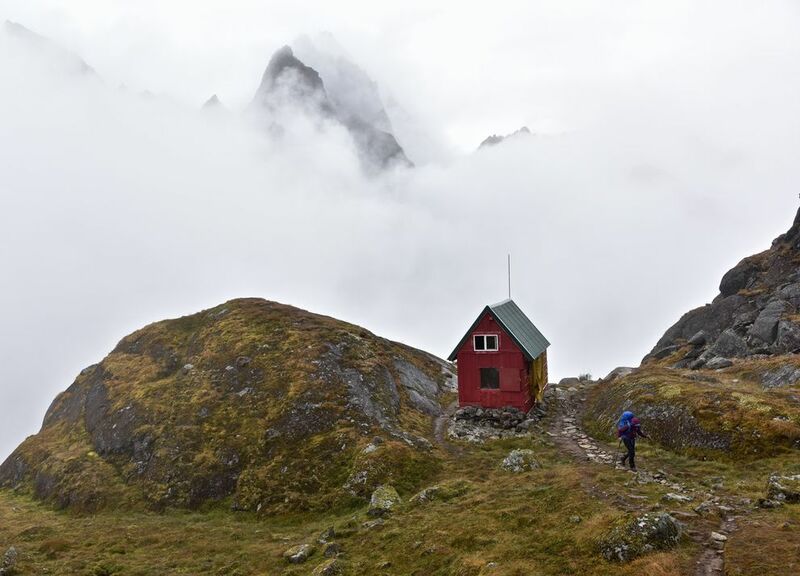 By hopscotching hut to hut, a hiker or skier can complete a 50-mile jaunt at Hatcher Pass through some remarkable terrain. Usually called the Mint Bomber Traverse, it's best tackled from July to September by experienced backcountry travelers familiar with crossing glaciers. "This has all the trappings of one of those singularly memorable experiences," notes the Alaska Hike Search website. "Traversing glaciers in an alpine wonderland with spectacular views the whole way is a wonderful way to spend three (or more) days." Head into Archangel Valley at Snowbird trailhead off Hatcher Pass Road. Hike about 7 miles to the Snowbird Hut, maintained by the American Alpine Club, on northern edge of Snowbird Glacier. From there, drop down to the Bartholf Creek valley and head to Bomber Hut. Though that's only about a 4-mile hike, Hage cautions that it's "really arduous" and may require a full day, whether you drop down into alders or stay high and side-hill across steep scree. From Bomber Hut, a hiker can head up Penny Royal Glacier, a hanging alpine glacier, and up a scree slope to the 5,715-foot Backdoor Gap between prominent spires of the Talkeetna Mountains. From there, a hiker can descend to the Mint Hut, at the headwaters of the Little Susitna River. The Seth Holden Hut will be located in a side valley between the Mint and Bomber huts. Holden was a highly regarded 29-year-old climber at the time of his death. The Seth Holden Alaska Remote Exploration Grant was established through memorial donations made by family, friends and supporters to help others complete adventurous journeys that would have appealed to Holden. The Mountaineering Club of Alaska will pay $535 annually on a 10-year lease of the property on which the shelter will sit. The deadline for comment on the state's preliminary decision to grant the lease is 5 p.m. Monday, May 22. Email comments to Ben Hagedorn of the Division of Mining, Land and Water at ben.hagedorn@alaska.gov. Earlier this week, only one comment had been submitted. If the hut is approved, construction will begin in July. The MCA expects it to be a seven- or eight-day project for a half-dozen people, using a helicopter to ferry construction supplies in and out. The MCA maintains seven huts — three in Chugach State Park, mainly along the Eklutna Traverse, one in the Matanuska Glacier area and three in the Hatcher Pass area. Contact Mike Campbell at mcampbell@alaskadispatch.com.